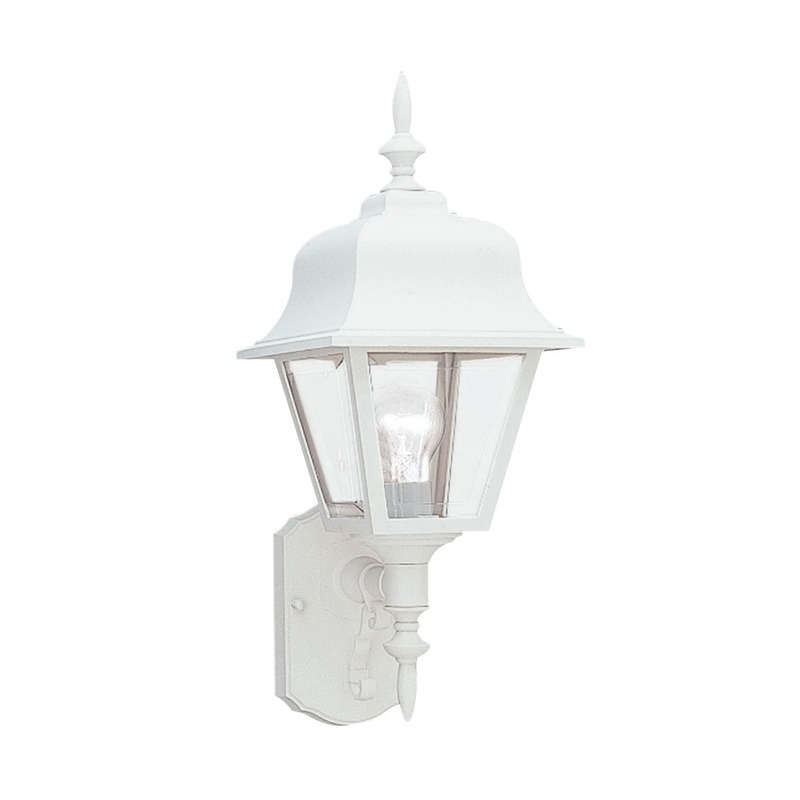 Sea Gull Lighting Outdoor wall lantern in white finish, features polycarbonate body. It features acrylic clear beveled glass that brings elegance to the home. This traditional style lantern uses one 100-Watt A19 incandescent lamp. The medium socket lamp has voltage rating of 120-Volts. It has 9-Inch extension from wall. This lantern has a dimension of 8-Inch x 25-Inch. It comes with 6-1/2-Inch lead wire for hassle-free installation. Lantern is cULus listed and meets Title 24 Energy Efficiency compliant.